1 tablet per 1 litre of water. 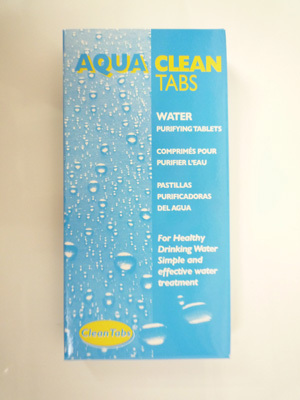 Aqua Clean Tabs. Water Purification Tablets. One tablet treats 5 gallons of water. 32 tablets per pack. The best eCommerce software by ShopFactory powers P103. All-in one eCommerce and shopping cart software.